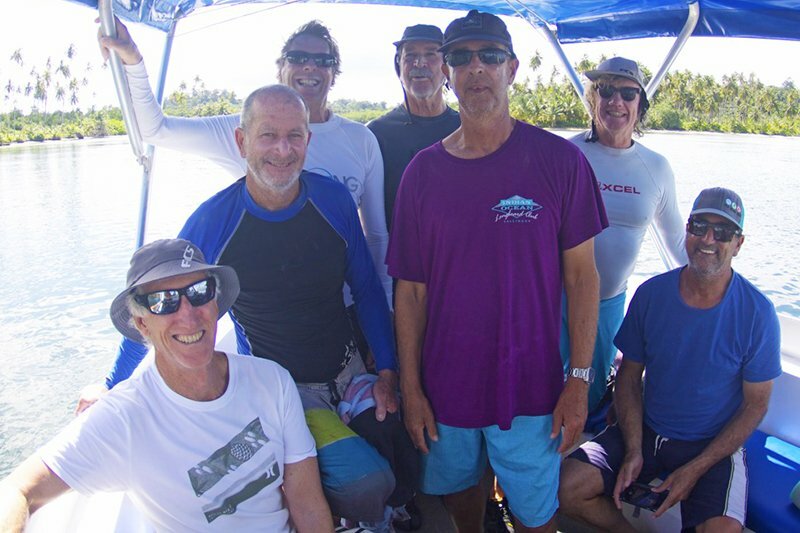 It should be every surfer’s ambition to make it to your seventh decade and be fit, healthy, and still doing surf trips with the mates you grew up surfing alongside. Hailing from Perth, WA, these guys are family friends of former TIL legend guide Dan Corbett. They’re all on the crusty side of 60, still ripping, going hard and always up for the dawn patrol. Max’s Right – out front – has been turning on long low tide peelers that have been hard to leave. When we did manage to tear ourselves away, we’ve hit the Bubble, Kindies and Max’s Left. We haven’t been blessed with too much swell this time around, especially compared with the last month’s mega swells, but the boys are still smiling. Let’s meet ‘em quickly. Bob Monkman. At 68, the oldest of the group. Over 60’s Australian Longboard champ. He’s won over 20 Aussie titles so far and still going. What a surfer! Rips on both long and shortboard. May have wiped out once on this trip, maybe. We reckon Bob’s the oldest super-grommet to ever stay at TIL. Ron Marchant. Turned 68 on the trip. Has been Bob’s wingman each session and always gets the good ones. Loves the Bubble and always insists on checking it even if it’s not going to be on. The Bubble does that to a person. Brian Marchant. Ron’s younger brother. Great guy who’s always down for a chat and a beer. Brett Hinkley. The cheeky one of the group, always making us laugh. 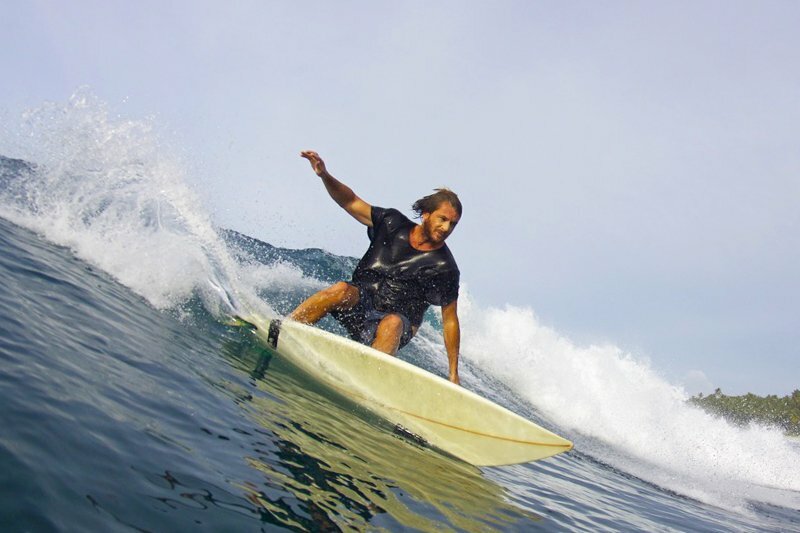 Sticking to his short boards – and killing it – even when everyone else was on a mal. “The Cap’n”, Richard Wilson. Always first up. Mellow fella. Checking the tide all day every day with his watch and running updates. Guide Zak reckons Rich’s yellow rocket board is possibly the heaviest board he’s ever waxed (3.5 inches thick), but he throws it around easily. Phil Childs. Surgeon. Has been switching between long and short boards, and saying he’s too sore to move each day but always gets back out for more. His professional skills came in handy when one of our boat staff mashed his nose on the reef on a small, low tide day. Mike Fisher. Rode every wave to the death, no matter how many times people scream at him to pull off. Well acquainted with the Greedys section out the front and has the tattoos to remember it by. Been killing it on his new blue quad-fin mal. It was inspiring stuff to host these blokes who’ve got the priorities of life well and truly sorted, who know how to play the long game without playing it safe along the way. Deadset legends. Thanks so much for coming fellas!